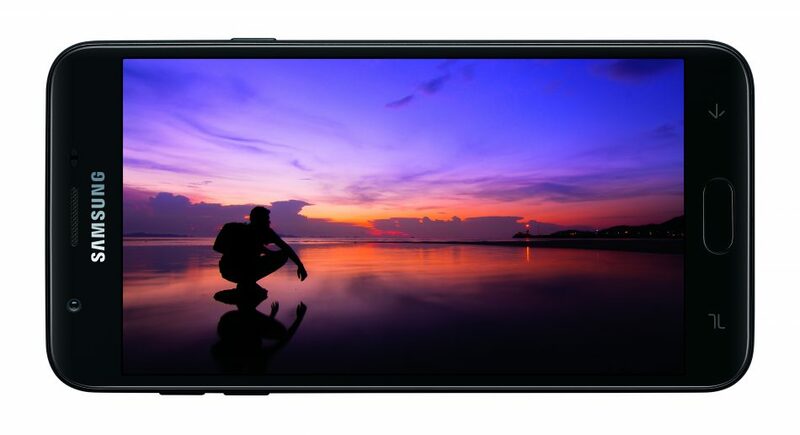 Samsung isn't afraid to experiment with different types of notches in its mid-range offerings — having tried it all, from a hole-punch in the Galaxy A8S, to a OnePlus 6T-esque sloping teardrop in the M20, to more traditional bezels in the A9. 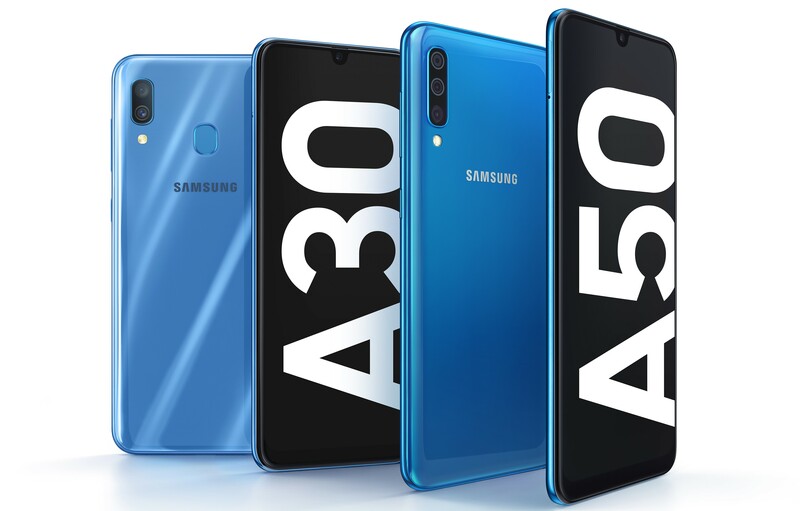 Two new devices were announced today, the Galaxy A30 and A50, featuring teardrop notches of the Infinity-U design Samsung revealed last fall. These phones are likely headed to the Indian market in the coming week. 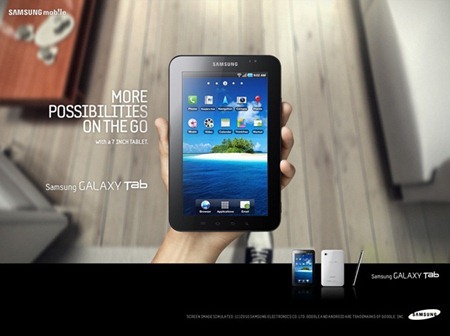 Over the years, Samsung has had some great ideas. 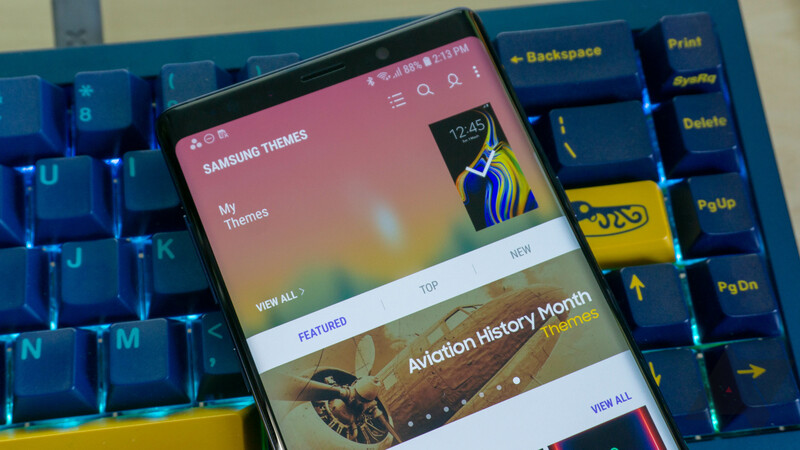 The Note series pushed the industry to adopt larger screens, TouchWiz had one of the first implementations of multi-window, and Samsung Pay is one of the more versatile mobile payment solutions around. Its decision to begin pushing people to use paid themes by restricting free theme usage to two weeks was not one of those great ideas - and now it looks like that plan is being walked back. Samsung has announced sequels to last year's budget Galaxy J3 and J7 phones. This year's phones will go on sale "through select retail and carrier partners starting in early June and throughout the summer." Samsung didn't mention a price for either device; only that they'll be "affordable." Last year's J3 was $149.99, while the J7 was $219.99. Ok, I am going to keep this brief because I don't expect this deal to last long. 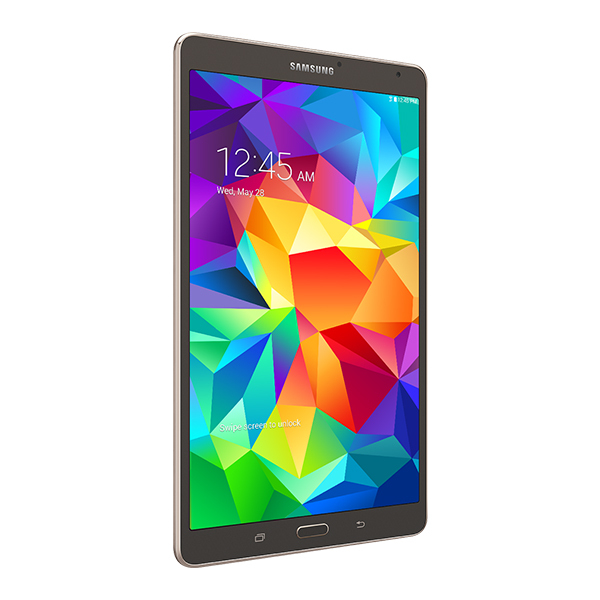 In preparation for the imminent release of new Samsung tablets, Best Buy has the Samsung Galaxy Tab S 8.4" 16GB LTE tablet at closeout prices. They are available with either AT&T or Verizon antennas for just $279.99. That's a staggering 220 bucks off retail and 20 dollars less than the Wi-Fi only model on Amazon (which was already a good deal). Even though it launched in June of 2014, the Tab S is still a formidable device with plenty of power and, in my opinion, the best screen on any Android tablet. Sky Go, a service which allows Sky TV customers to watch live and archived content on the go, has been available in the browser and on iOS devices for 7 months now, and according to Holly Knill, the head of Sky Go, it's finally coming to Android devices next month as well. 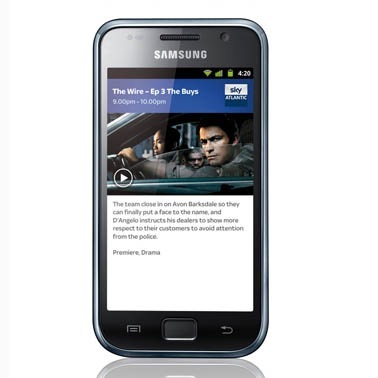 Customers running "a selection of Android smartphones starting with Samsung Galaxy and HTC handsets" will be the first to have the opportunity to test the new Sky Go app, but there is no mention of support for any other devices in Sky's post just yet. Presumably, the app will be rolling out to select devices in order to iron out any lingering bugs that are found once it is released into the wild, and hopefully it will be coming to many more devices, including tablets, in the future. Disclaimer: initially, I was reluctant to pass this one on, but it looks like it may be more credible and less speculative than I first thought. During IFA today, Samsung confirmed that Gingerbread is next and will be Android 3.0, and that it will be succeeded by Honeycomb (3.5). It is possible that things will change between now and then, but this is an official, public word from Samsung in direct response to a question - fairly concrete. 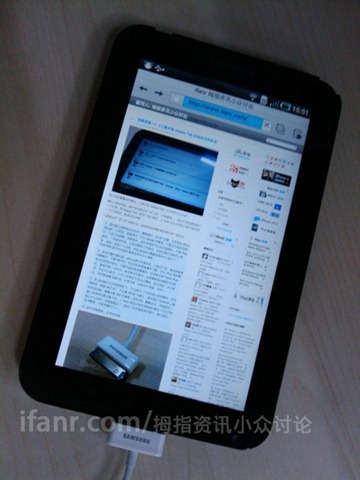 They also divulged that they're working on a larger (presumably larger than the Tab) tablet for Honeycomb. As for the Tab itself, it'll ship with Froyo (which we already knew), and will be updated to Gingerbread once it's released. Broke the identity of a mystery, e-mail name is (づ¯ 3 ¯)づ, good sense ... pregnant, and he also presents us with a gift: The Galaxy Tab landing our home, so ifanr a Samsung flat in the first Chinese Web site, thanks his readers! Those pregnant men, they always seem to land all the good gadgets. Our mystery leaker confirms some previously-rumored specs while sprinkling in some commentary.